GM Twins are entering a new generation. Both Chevy Silverado and GMC Sierra will introduce significant changes for the upcoming season. 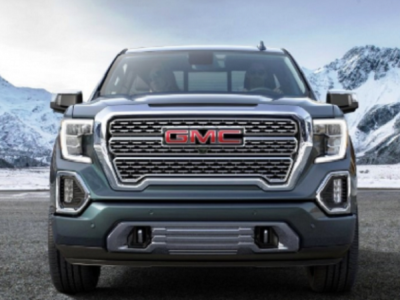 Many features and parts are different, but one thing is the same – top of the line model will be 2019 GMC Sierra 1500 Denali. This is a luxury truck without too many competitors. Chevy is more performance-oriented, with plans to launch ZR2 off-road trim for its Silverado. The new GMC Sierra 1500 is already presented in six trim levels. The entry model is Sierra, and there are big changes in SLE, SLT, and Elevation trucks. Another addition for 2019 season is AT4 truck, which replaces All-Terrain X special edition the pickup had in 2017. 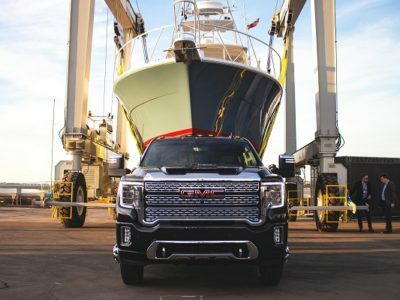 Finally, a high-end and the most expensive model is Denali. Premium interior, luxury upgrades outside and inside the truck, and high-output engines are highlights of this version. 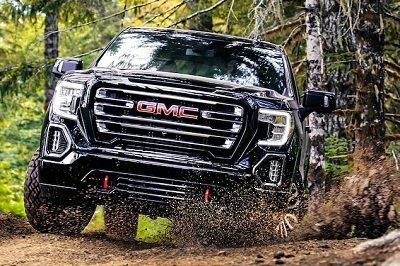 The 2019 GMC Sierra 1500 Denali will be available with 5.3-liter and 6.2-liter engines. The base unit 4.3-liter and the new Duramax diesel are not going to be configurations for this truck. An EcoTec3 mill, 5.2-liter C8 engine, is good for 355 hp and 385 lb-ft of torque. It sends power to 4×4 system through an eight-speed gearbox. 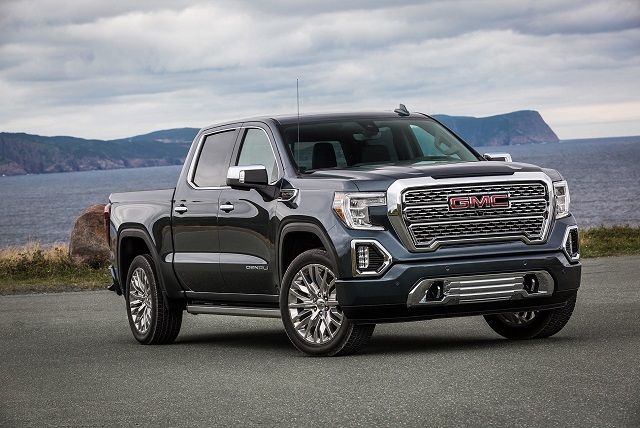 Also, a two-wheel drive is available setup for 2019 GMC Sierra 1500 Denali. Another option is a 6.2-liter with 420 horses and 460 lb-ft of torque. It also maximizes the towing capacity of a pickup. Compared to the other unit, this one comes in pair with a ten-speed automatic transmission. It allows all Sierra trucks to deliver a smoother ride. Also, your pickup will return better gas mileage. 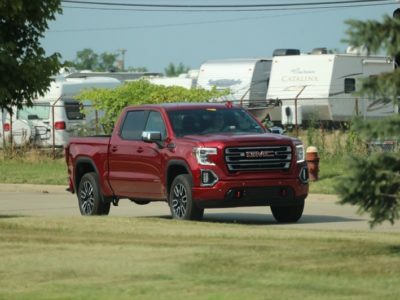 There is still chance to see 2019 GMC Sierra 1500 Denali with a new turbodiesel engine. This one had a premiere slightly later than its rivals. But, we knew it as soon as Chevy twin introduced it. Still, we don’t have final outputs, as well if the Duramax engine is coming for Denali pickup. This will be a perfect combo of utility and luxury, something that Toyota Land Cruiser is offering. A 3.0-liter turbodiesel Duramax unit would be able to create 250 hp and 430 lb-ft of torque. This is enough for most off-road challenges. Well, the premium truck would need some exterior upgrades to save the body from hits. 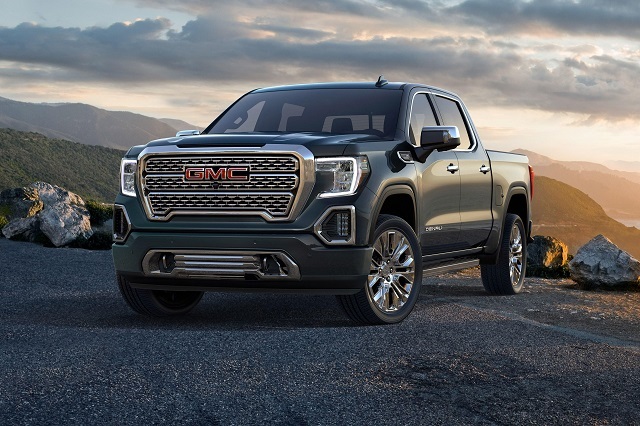 Besides engine and transmission options, there are some standard features available for the 2019 GMC Sierra 1500 Denali. For example, this truck is using only a Crew Cab configuration. No Double Cab or the version or a two-door layout we can find for the base Sierra. Also, outside, we will see unique paint jobs and wheels. These are 22-inch rims with bright finishes. Furthermore, the exterior brings mesh grille. It is larger than for the standard model. With it, the Denali model presents new LED lights and bumpers. The newest feature on GM full-size twins is a Multi-Pro Tailgate. This is a 6-way power adjustable tailgate that improves towing, accessing the bed, loading and unloading cargo. We can set the tailgate into six different positions. Besides standard function, it can become a working station. Furthermore, this feature can extend bed for oversized cargo. Finally, you can turn tailgate into steps for an easier access. Complete Sierra lineup is getting more quality materials for the cabin. Also, the existing features and systems are updated for the 2019 season. But, Denali is standing out with its premium equipment wherever you look. 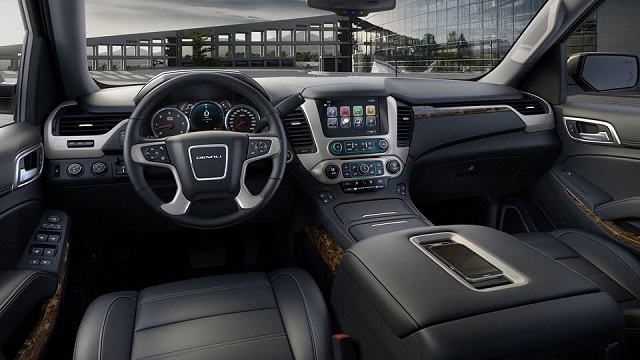 Highlights of the 2019 GMC Sierra 1500 Denali interior are huge infotainment display, of course, with a touchscreen, genuine leather on seats, steering wheel and door panels, rear camera mirror. We mentioned only these three because there is a lot more stuff packed inside the cabin of the Denali truck. Of course, there is distinctive badging to make driver sure he is in the premium pickup. So, seats are wrapped into Forge leather. Dashboard as well. There are wood trims and aluminum accents with dark finishes. 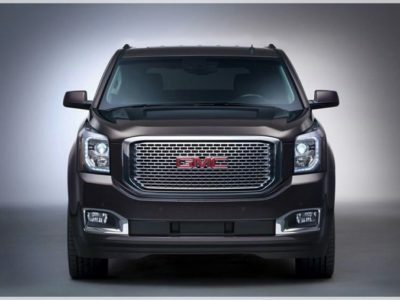 These are making the 2019 GMC Sierra 1500 Denali so elegant. Well, you won’t find these anywhere else, not on other Sierra models, or among rivals, Ram 1500 or Ford F-150. Heating and ventilating are available for front buckets, while rear seats are getting only heating. The infotainment system is the latest of its generation. Navigation, Apple CarPlay, Android Auto – all standard on Denali pickup. Everything is displayed on the huge 8-inch touchscreen display. Improved voice recognition, a lot of apps, and a seven-speaker Bose audio are boosting the impression. As for all trucks, everything depends on configuration. 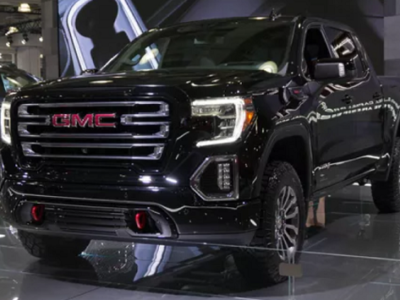 There are a lot of upgrades available for 2019 GMC Sierra 1500 Denali, but you won’t find any of these cheaper than $60,000. 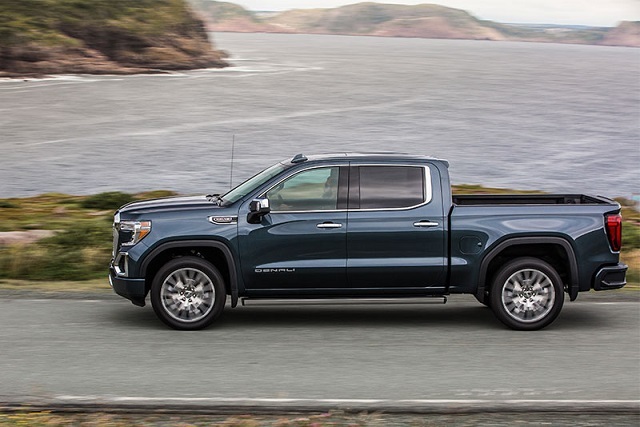 This premium truck can’t find too many rivals in the truck segment. We can say that is Ford F-150 Platinum, but only with a price. F-150 Limited is out of the league with a high starting price.